IFTS is an independent center with world recognized expertise and unique facilities to measure all characteristics of all types of liquid filters. *Working with customers to develop new test methods for new filters brought to the market. *Acknowledged expertise and contribution to the evolution of filter testing standards on national, european and international levels. 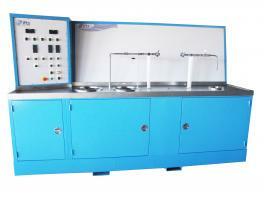 *Tests for all standard procedures (CEN, ISO, BS, DIN, JIS, SAE, ASTM...) and to meet individual customer specifications. IFTS is an independent testing and research center with world recognized expertise and unique facilities to measure all characteristics of all types of liquid filters and particle analysis. IFTS is an active contributor to the creation, evolution, and evaluation of testing standards worldwide. We work with clients to develop new filter test methods. IFTS provides testing using all global standard procedures such as CEN, ISO, SAE, ASTM, WQA, NSF, BS, DIN, JIS and many others tailored to meet each client’s individual specifications. *Working with customers to develop test methods for new separation devices and filters brought to the market. *Acknowledged expertise and contribution to the evolution of filter testing standards on national, european and international levels. Our Scientists and Engineers are actively working on ISO and SAE Standardization Committees. Copyright © 2019 IFTS, All rights reserved.